Sarah Purdy is a Reader in the Academic Unit of Primary Health Care at the University of Bristol. She was appointed in October 2006 after being awarded a Medical Research Council Clinician Scientist Fellowship. Prior to coming to Bristol she worked at the Hull York Medical School where she was involved in designing and delivering an innovative problem based learning curriculum and in developing a research strategy for the new organisation and its academic and NHS partners. Previously, Sarah worked at the University of Newcastle upon Tyne as a Lecturer, subsequently Clinical Senior Lecturer, in Primary Health Care. She was a visiting fellow at Harvard University from 1995 to 1997. Sarah has a MD from the University of London and a Masters in Public Health from Harvard School of Public Health. Sarah is currently working on a research programme exploring predictors of, and interventions for, unscheduled care use and unplanned hospital admissions. She also has research projects in the area of multi-morbidity. She continues her research into the management of dermatological conditions. 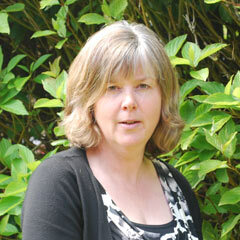 Sarah is academic lead for the local NIHR Primary Care Research Network. She is a member of a number of national committees and an advisor to several national bodies. She was a Non-executive director of an NHS board for seven years. She is an Honorary Consultant in Primary Health Care at NHS Bristol. Sarah leads the EBM and Public Health vertical theme of the medical school curriculum in Bristol and teaches on several of the medical student courses delivered by the Academic Unit of Primary Health Care. She works clinically as a general practitioner.